CafePress is running a sale for 25% off of all merchandise through the end of May. Use code MAYSAV. CafePress is known for their unique, personalized shirts and they have a huge selection for The Hunger Games books and movies. I can’t post them all because there hundreds of shirts, including short sleeve, long sleeve, polos, and maternity, but I’ll post some of my favorites. 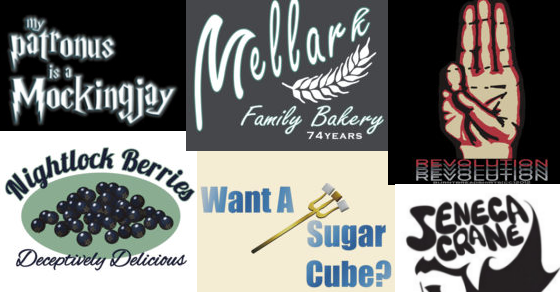 You can see all of the rest on the CafePress Hunger Games site. As we wrote about last week in conjunction with our contest (Hunger Games Shirt Review Plus Contest), Redbubble has some really unique Hunger Games Shirts. Today only you can get them shipped for free when you use code SPG2014. This deal is only for April 23, so get them quick! 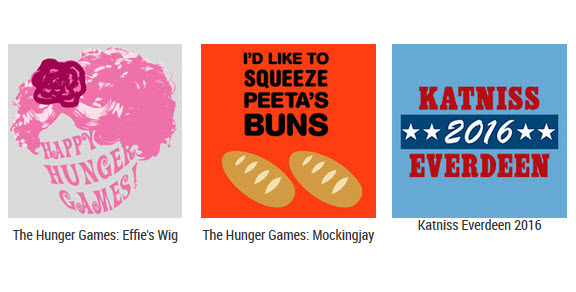 Click to see the entire Hunger Games collection currently available at Redbubble. I’m always on the lookout for creative Hunger Games shirts beyond the ones that I see everyone else wearing. When Redbubble gave me the chance to review their shirts plus give away a certificate to my readers, I jumped at it! First Redbubble sent me a $50 certificate to pick out whatever I wanted (keep reading to find out how you can win one yourself). I immediately knew I wanted to get a Hunger Games shirt for myself and also wanted to check out what my 13-year-0ld daughter might like. And a lot of images you just have to SEE! 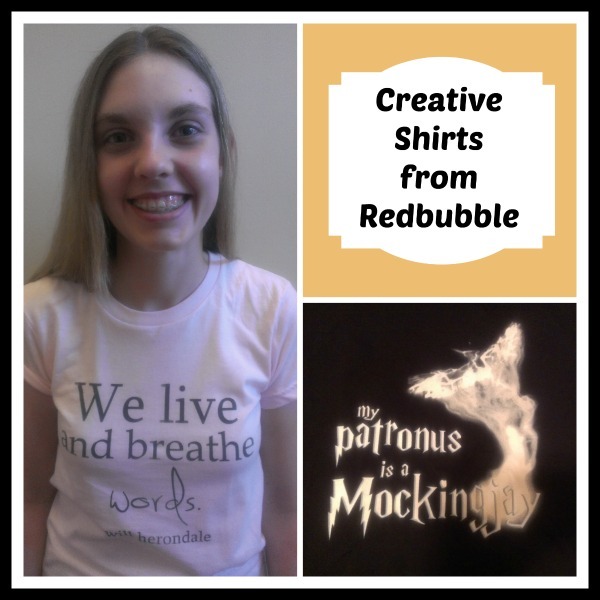 While I quickly settled on “My Patronus is a Mockingjay” (because I geek out to both Hunger Games AND Harry Potter), my daughter started down a path of finding shirts inspired by Divergent and The Mortal Instruments. The selections for those were just as cool. She is a little infatuated with TMI right now, so she ended up with a shirt that said “We live and breathe w0rds. –will herondale” and she customized it to be pink. Speaking of customization. One of the things that I love about Redbubble (other than the fact that it encourages creativity and art!) is that you can customize most of the designs. I went with a darker shirt with a regular t-shirt cut. My daughter wanted something lighter (but not pink) and wanted a girl’s cut shirt. We were so excited waiting for them to arrive that my daughter actually asked EVERY DAY when she came home from school if it was here yet. We ripped open the package and fell in love with the shirts. the quality was top-notch and they were exactly what we ordered. We’ve now worn then and washed them and they are still in great shape. So how do you get your hands on cool shirts like ours? First, you head to Redbubble and check out their selection. You might end up buying one right now to show it off before school gets out! Second, you can enter our contest below (must be 18 or older and U.S. resident). If you are the lucky person to be picked, you will get a $50 certificate from Redbubble to order for yourself. 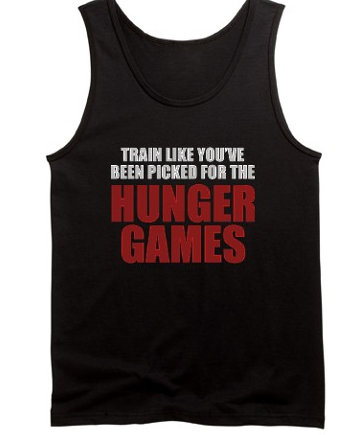 We came across these shirts at CafePress that say “Train Like You’ve Been Picked for the Hunger Games” and thought they would be perfect motivation for working out. You can get them in tank tops, short sleeved t-shirts, and long-sleeved t-shirts. Depending on which you choose, they also come in a variety of different colors. Matching buttons are on sale today for $1.99. They also ship internationally. Perfect for the Hunger Games fan who needs a little extra boost during their exercise routines.